Nevertheless, when I started crocheting the blanket, I didn't really think of size for a bed. I just thought large, very large. And as the work has progressed, I've downsized my expectations to medium large, and then maybe just to medium sized. 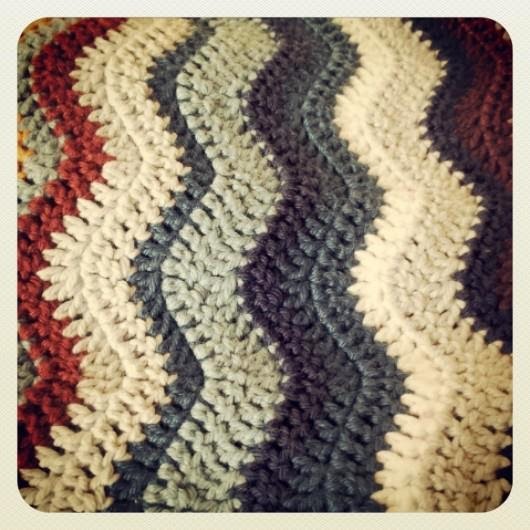 I just want to get this blanket finished now! Anyway, I now have a blanket that is almost finished. But the size is really awkward for a single bed (too large), and even more awkward for a double bed (almost fits, but not quite). 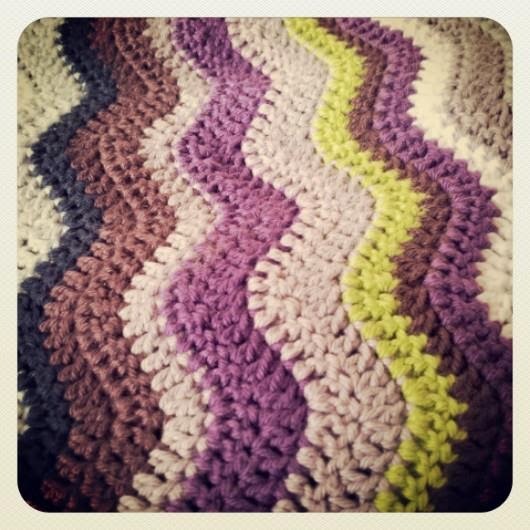 Fortunately with crochet work, the finished item doesn't have to finish at the last stitch of the last ripple row. There is always the option of adding a border which will increase the size to something a little more becoming. However, if I had consulted a sizing chart in the beginning I would have been clear from the start where I was heading. 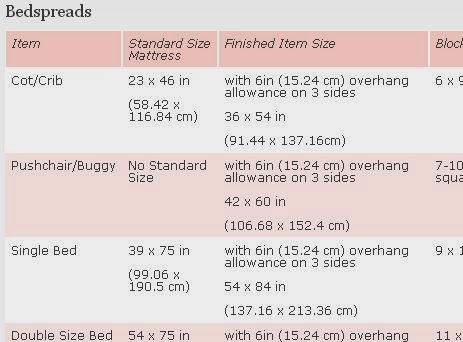 Scarlet Dash have a great table of sizes of things that go on beds, and is a really useful resource. Moreover, it's not only in imperial measurements (inches) but also in metric (centimetres).